Asian School of Business (a part of Asian Education Group) – one of the top ranked BBA/BCA colleges in Noida – recently held season 6 of its annual inter-college cultural fest known as ‘AEG KESSHET’ on Thursday, 17th January 2019 at its campus in Noida. AEG KESSHET 2019 was celebrated with great pomp and enthusiasm, and in complete Bollywood style. One of the attractive event activity at this festive celebration was the “Walk the Ramp (Fashion Show)”competition. 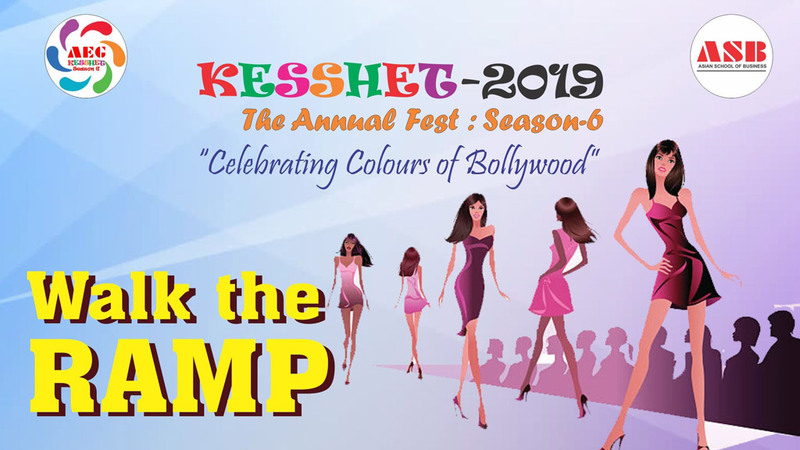 Categorized under Flagship Events, “KESSHET 2019: Season 6” hosted this flamboyant fashion show which showcased the creativity and ingenuity of students in depicting attires in synchronization with the given themes. The criteria for the judgment was based on costumes, formations, style, depiction of theme, choice of music, poise & expressions, and the overall creativity. Here’s your share of the glimpses of this glamorous event activity.